The 401k up to the full match is a no-brainer. After that, it depends what you are trying to accomplish and by when. I maxed out all my tax-advantaged accounts and wish I had put a bit of that money into taxable accounts for easier access. To get money before 59.5 without a 10% penalty isn’t all that difficult. The Substantially Equal Periodic Payments (SEPP) rule is the exception to get into your IRA when you retire. You essentially “annuitize” your IRA from the when you retire until 59 1/2. Your life expectancy is calculated, and then take out an = amount each year = to the balance of the IRA divided by your life expectancy. Once started, you must continue to take these withdrawals for at minimum 5 years, or until age 59 1/2. When you do this, you DO NOT have to pay the penalty. Your 401k can be accessed penalty free after 55 when you leave your employer, but if you roll that plan over this benefit is forfeited. A First Home. Keep in mind the IRS definition of a “first home” is that you haven’t owned one for the last 2 years. Also, it doesn’t have to be YOUR first home, it can be your kid’s or grandkid’s first home too. See how this works? You pull out $8K from your IRA to pay toward their home, and they gift you $8K for Christmas. No 10% due. Ethical? Perhaps not. Legal? Certainly. Keep in mind there is a $10K limit. However you are right in that if you retire before 59.5 it would best be wise to drain a taxable account first and then a 457 before touching the others. Nevertheless if you are maxing out the other accounts it would be most advantageous to do that. Since I was asked about the topic, I thought I’d share my take and then allow you to comment. Like much of personal finance, I don’t think there is one “right” answer. What is best for any individual or family depends on a wide variety of factors. The factors that make one option the best choice in one situation make another move the best choice in another situation. That said, I think good advice for the largest group of people is to “contribute to a 401k to get the full company match.” I’m sure there are times when this is not good advice but for the majority, this will work well. How could it not when you lock in a 50% or 100% return immediately? Once you max out the match, the debate occurs. Should you continue to put as much in the 401k as possible (building to your war chest, avoiding some taxes this year, and allowing for tax-deferred growth) or should you balance your investments and split up the remainder into 401k contributions and investing in taxable accounts (which doesn’t offer many of the benefits yet gives you complete and immediate access to all the money)? 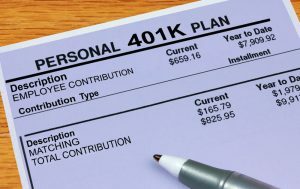 If you decide to split the money, there’s then the question of how much of the remainder goes into the 401k and how much into the taxable account? The splits can be done in a ga-zillion different combinations. I think a key in answering the “amount over the match” question is “when will you need the money”? If you plan to retire at 59.5 or later (which was my initial plan — to retire at 60), then I’d go with most of the money in the 401k. But if you plan to retire sooner, and especially if you plan to retire much sooner, I think it’s wise to consider moving more into a taxable account. The reason for this is money accessibility. If you retire at 40, 45, or 50 and you’re going to need that money, you want complete and unrestricted access to it. There’s nothing that allows this other than to keep it in a taxable account. Yes, you can get to some of it by taking SEPP, but that amount is determined by law, not by you. Also, the commenter above noted that he thinks it “isn’t all that difficult” to do but he does not have personal experience in doing so. I’m a bit more skeptical. When dealing with government rules and IRS options, things are rarely easy. And even if it is easy, you still can’t get to all the money since you don’t control it. Separate from the SEPP, the other reasons (medical expenses, education expenses, etc.) for getting the money out noted above are rare as well. I contributed the max to my 401k for many, many years (over a couple decades, really) since 1) I didn’t need the money, 2) was planning on retiring at 60, and 3) wanted to save on taxes as much as possible. That’s why roughly half of my net worth (and well over half of my investment portfolio) is now in rollover IRAs. Now with the benefit of hindsight, I made the statement above simply because I retired at 52 and have access to only a portion of my investments. Fortunately for me, I have several other factors that make this ok including 1) I had a high income and a high savings rate so I was able to contribute the max to my 401k AND save some to a taxable account and 2) I bought rental properties which along with some other income generate more than what we spend annually. So it isn’t really much of an issue for us personally. That said, I wouldn’t mind having more in taxable accounts so I could get higher, regular, dividend checks. They would give us another margin for safety. Those are my thoughts on the issue. Our family is definitely torn on this issue. My husband contributes the max to his 401K, but I currently don’t. I contribute about half of what I’m eligible for each year. However, the more I contribute, the less we pay in taxes, so I’m inclined to max it out (or get as close as possible) this year. But, we do want to start taxable accounts to give us more flexibility when we eventually travel. The tax benefits are a big draw, but flexibility is, too. I’ll probably end up doing what I’ve been doing, contribute half or so to my 401K and the rest to taxable accounts. I’m sorry if I missed it but I think there is one more way to get the money out of a 401k early penalty free. You can roll it into a Roth IRA and access the rollover amount with no penalty 5 years later. So as long as you have 5 years of expenses in other places after retirement you should be fine. Personally I max out a traditional 401k and then contribute to my wife and I’s Roth, then what’s left goes into taxable accounts. The contributions to the Roth are accessible any time. Root of Good has a blog post describing this roll over from IRA to Roth that does a decent job of explaining this tactic. I have been told rolling over from IRA to ROTH is no longer available with the new tax laws. Haven’t had a chance to check this out myself and it came from a very reliable source. you can’t roll it until you have left the company and even then, you can’t money out early without penalty. Roth you can, not taxable. Very interesting! We are still piecing through how to approach a strategy when we don’t have a clear “end goal”. We may retire early… or not. We may start a business… or not. We may invest in real estate which helps pre-59 1/2 years… or not. Haha- with all the ambiguity, we have stuck to a path of “save and invest as much as possible and tweak the method as we go”. I certainly do not regret maxing out my 401k so far, but I do see arguments for reducing that in favor of other accounts at some point. Thank you for the talking/thinking points on this topic! 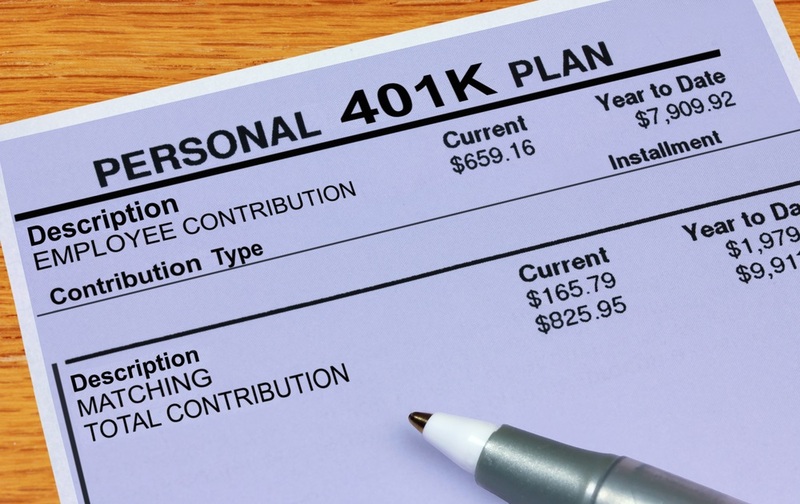 Maxing out the 401k/403b has major tax implications for many people. My question however, is there a tax bracket you can find yourself in where the benefits of taxable investments outweigh the benefits of further tax deferred growth? Next year my wife will stop working and our gross income will drop to 75k. After maxing out the 403b, HSA, and IRAs, that will put us at a taxable income of roughly 40k. My current debate is whether IRAs should be made Roth or forgo entirely and put into a strictly taxable account, due to the lower tax bracket we will find ourselves in. Pretty sure at that point a ROTH IRA (where you can always take out your contribution amount, just not earnings) where you can get dividends/capital gains growth entirely tax free and can rebalance tax free beats a taxable account where you pay taxes on dividends/capital gains and could trigger tax liabilities when rebalancing. Alternatively, you should/could look into using this year of low taxable income to do ROTH conversions of your traditional IRAs/401ks, etc. to move money from tax-deferred accounts to tax-free accounts at a lower tax bracket (perhaps up to the top of the bracket you are currently in, or even the next bracket up from that even). Bogleheads has some good tips on this on their site/wiki/threads if you search around. In my opinion, contributing a lot to tax deferred accounts at your income level risks not getting too much benefit and possibly paying more in tax later. I would advise not be contributing to 403b beyond any match when you have that low of income. Anything taxable below 77.4K is going to be taxed at 12% federally in 2018 and for the next 8 years (according to the current tax bill). After that rates are set to return to the previous numbers (15% in that bracket) if Congress doesn’t act and based on the finances of the country which aren’t great, they could very possibly end up higher than ever eventually. You should get any match you are offered, then max out the HSA, then go to Roth IRA. Certainly get as much as you can in tax free accounts (HSA & Roth IRA) versus tax deferred accounts when you are at that income level. For high earners who are already paying in the mid 20% up into the 30% ranges then tax deferred growth makes a whole lot of sense. Just as a quick follow-up for anyone reading this. 77.4K is the cut-off to stay in the 12% bracket for married filing jointly. The commenter mentioned his wife so I assumed that filing status. Single filers jump from 12% to 22% at 38.7K which is exactly half of the married cut-off so for single filers with a decent income it is difficult to get into the 12% bracket. Thank you for the thoughtful responses! I should have also clarified that we have the option of a Roth 403b and have access to Vanguard funds in our 403b. Our current combined gross of 140k will drop to 75k next year. It looks like max the HSA, and max both Roth 403b and Roth IRAs if possible. Our mortgage is at 2.875% with 7 years left, so that payment should be kept at minimum. Any additional investment money can then wind up in taxable investments or opportunity fund. Thanks again! It’s great not to have to think in a vacuum! HSA & Roth 403b next year sounds like a great plan. The HSA is awesome because it’s a backdoor Roth with upfront tax deduction. If you can afford it, contribute to the HSA but don’t use any of the funds. Let them ride and grow tax free. Keep receipts for medical expenses now and then you can withdraw funds from the HSA many years into the future and apply those withdrawals to medical expenses from decades earlier as long as you have all the receipts and can prove payment. Tax deduction up front, tax free growth, and tax free withdrawals. You can’t beat the HSA. Yes, we make too much for the taxable IRA to benefit us, so we both do the Roth option. I really enjoy the opportunity to use pre tax money in investments because the amount that’s invested is much higher for me. It would be very challenging to only contribute to the max, lose out on money to Uncle Sam, then try to still invest 18k worth of after tax money + have to pay taxes on capital gains etc. I look forward to doing that in the future, max out retirement accounts then start it build my portfolio outside of them. If I find it challenging to do so, and my goal is early retirement, then it sounds like a good topic to revisit ! 457b available to local,state and government workers has no penalty once you stop working. This allowed me to retire at 51. Some state and local government employers offer both 457b AND 401k with the ability to max BOTH! I was just looking at this. I am a state employee, but my SO is 12 years older than I am, so he wants me to retire at 50 (in 5 years). I was wondering since I have a 401 and a 457 and I am trying to max them out as much as possible in the next 5 years. I don’t want to draw from them if I don’t have to, but its nice to know the 457 is there! As high earners, we are definitely put as much money in tax deferred accounts. This money is locked up for our later life goals. The tax advantages out weigh everything else. Plus, we contribute enough for us in taxable accounts to satisfy our short term goals and to make early retirement an option, if we choose. As you mention, it really depends on the goals of the individual. If you need seed money for a business or you want to start a real estate empire, you might want the cash now. No, the tax advantages do not outweigh the fact that you will have RMDs at 70.5 and will have to take money out, possibly in a down market, or other reasons. You don’t have to spend the money, but I would rather have the option not to take the money out, but we have enough in taxable accounts our RMDs will be over $100K a year. Since I want to start a real estate empire and retire in 5 years, money now does me more good than money 30 years from now. This is always a very interesting topic. As you mention, there will not be a single answer that suits everyone’s specific needs, etc. On your questions, I’d agree with the general “max out retirement accounts” advice, but I found this to be disheartening at times. For us, we focused so much on only retirement savings our first ~8-9 years out of college that we had nothing in between today and retirement. There can be some type of balance. – Taxable Accounts – increase passive income derived from taxable investments vs. non-taxable assets. – Schedule and Frequency of Distributions – consider obtaining appropriate assets that payout during lower contributing months (NOT: March, June, September, and December). – Liquidity – continue to be mindful of the massive disproportion of passive income from investment vs. banking/savings accounts. – Type of Income and Diversification – look for new sources of passive income beyond traditional “portfolio” income. Overall, again, there is no single right answer. Madfientist did an article in this showing it’s better to go 401k / tax deferred and just take the 10% penalty down the road. Emotionally, that may not do well, but the numbers worked. It’s possible to get there but if you want a really secure retirement you probably don’t want to be in the 0% bracket because it means you have very little income coming in (unless you have it all in municipal bonds or some other tax free source but those tend to have poor returns). If your money has made 10% a year, the 10% penalty might not be too bad, but you can take the money at 59.5. Or take out money from the Roth IRA if you need it. Interesting discussion. Following along to see what others think! I definitely plan on funding specific retirement vehicles and will only open a taxable account when my student loans are paid off. At that point will have to consider this further. Not sure why this is such a huge issue for early retirees given the fact that to retire early implies a savings rate that is well above average. Now by early retiree I mean age 40-55ish, not the super early crowd or the minimalist…I plan on living on $20K a year crowd. The 401K limit of $18.5K is not that large and it has only gradually increased to these levels. I know in my case that my savings goals were usually larger than the max and thus I funded taxable accounts along the way. This was not intentional but simply a necessity. The result is that my taxable accounts are about 36% of my total portfolio so I have a nice bridge. Not that I need it…I’m an old guy at 56. I think you hit the nail on the head, Snowdog. If you are serious about early retirement, your savings rate should be such that you can do both (assuming your income allows). If you were to prioritize taxable savings at the expense of tax-advantaged savings, you’d run the risk of shortchanging yourself post-59.5. If you retire at 50 and run out of taxable savings, you can go back to work a lot easier than you can at 70. Thanks for breaking this out. This is a confusing topic for someone that’s just starting to understand FIRE, early retirement and how to finance life in general. I am going to be taking the same approach you did. Currently we are able to max out my Roth 401k and both of our Roth IRA’s at the ages of 24 & 25 (fiancée and I). Now that we can do this, we will be opening and funding our taxable account this year so that we can build an investment vehicle that is liquid. The tax advantaged retirement accounts will be our financial gold mine at 60, then we will be accessing the taxable account before that time comes. I am in a somewhat similar situation, albeit a little different. I am 24, my wife is currently not working (in nursing school for the next 2 years) and we have a combined income of around $82,000 before the standard deduction, so we will be in the 12% bracket as a married couple filing jointly. We are maxing out my Roth 401K and both of our Roth IRAs for a total of $29,500 in post-tax contributions. However, we have very little liquidity past our emergency fund and really don’t have a LOT of cushion after living expenses, rent, and retirement savings to add to a taxable account or to save for down payment on a house. Is it recommended to change the Roth 401k contributions to traditional 401k contributions to beef up a taxable account and/or save for a downpayment on a house, or would you recommend simply trying to continue the current strategy and tuck away any extra income into taxable, alebit very little? Best decisions we’ve made as a couple was maxing out on our 401k’s and when my wife changed and moved to another job we rolled over hers to an IRA account. Surprisingly, not all companies offer 401k’s. In this case, you can always fund your own traditional or Roth IRA. I am also torn by this but in a different way. Currently, I max out a 403b and I also am mandated to contribute to a 401a (I get mine like a 401k, not a pension). Anyway, my question is do I maybe split my 403b and go to say a 457 (which I also have access too) or even brokerage accounts because if I do plan to leave my employer (which it is possible or leave for greener pastures) I would want access to that money. Currently, I just continue to max out tax deferred accounts and I would do a Roth conversion latter later with SEPP, but it is also too convoluted for my brain to handle sometimes. So I have a constant debate with myself on the matter. I have issues with this. My wife has an employer-sponsored plan and we contribute the amount necessary to get the full match. Beyond that, we have multiple taxable accounts and contribute to them monthly. I know that we should put more into tax-protected accounts, but the idea of losing access to the money for decades stresses me out. This is one of those areas where we are trying to “evolve” and find what’s best for us. I struggle with finding the ‘right’ answer even for us, as my husband and I both work for an employer that does not provide matching 401k contributions. So many things to consider, taxes, income limits, retirement age, etc. Definitely no one “right” answer! We don’t get matches and still max out. The benefits of tax free growth make it worth while. Personally, I took full advantage of the max match. Easy part right. But that is all I did (as I retire in about 6 weeks). I have my budget, stick to it. Move cash into my trading account when I am topping out and trade individual stocks. To do this you have to spend time. But I have more flexibility with those funds and the returns have beaten the market. But it is like a second job. To me it comes down to: How much flexibility do you want and why? How much do you have in non retirement accounts so if an opportunity arises you can act quickly or even act on it at all? If you have enough dollars in non retirement accounts and dont want to spend time analyzing individual stocks and are going to invest in funds anyways then I would max out retirement accounts. But to me it is predicated on both of these. Having enough funds…hmmm what does that mean? That is not your security blanket (ie 6 month funds) as that should always be maintained if possible. By enough funds I mean investing funds, for the market, real estate, new venture, maybe a great deal on a vacation home, whatever it is. That is personal and will be different for each person. I like individual stocks so I will never max out retirement accounts. I put as much as I can towards my non retirement investments after taking advantage of full match in my 401k. One thing I don’t find mentioned is the impact on future investments (trades, sales, etc.). The flexibility of trading within an IRA or some 401(k)s makes tax-free trades very easy. However, once you have your investment within a taxable portfolio, tax implications have to be weighed in every decision. I was lucky with a few stocks in my IRA and was able to sell out and invest in more-conservative funds at no cost. I have also been lucky with a few stocks (900% gain) in my taxable portfolio, but selling with such a high gain puts about 14% of the net into taxes. Yes, not a bad problem to face, but I do have to consider the overall impact to our taxes before I make a move. •	Social Security at 65 will cover inflation and then some.. In hindsight, I am cutting it a little close on funds for this short time between 52 and 55 and wish I had a little more out of my retirement accounts. My wife is also considering retirement and that plays into the decision too. Clearly, for my situation, with moderate income and saving rates, the Roth option would have been best. Unfortunately, my company did not offer this option in the 401K until just recently. I’m a big fan of building a spreadsheet model of all this. It forces you to think about these options and you can see the impact of each variable, but I’m a bit of a geek who likes these things. This has been on my mind. I started maxing out my 401k when I started my first job, and now after 10 years of maximum contributions plus a 3-4% employer max, I’m at a point where I could stop all contributions and just let it ride for the next 30 years and have enough to enjoy a good enough standard of living in retirement. So, why not just spend the $18,500 each year now on little luxuries, like maybe a few trips to Hawaii each year, etc. The struggle I have is that at my current tax rate, I’d really only have $13k extra to spend each year, and then if I look at the real lost cost of 30 more years of compound interest on the $18,500 annual investment, it looks like an even worse idea. However, I might be dead by then anyway. Maybe once you have enough, it’s time to live in the moment! Especially early on I would lean towards maxing out both 401k and IRA’s as it will probably give you the best bang for your buck over time. Plus, its basically a forced savings plan with a virtual brick wall that keeps you from spending it – and allowing your money to compound over many decades. As you get older, I see the logic of wanting or needing access to some of your money to retire early vs plowing it all into retirement accounts, especially if you only have a limited or low income. Personally, I’d try to set myself up not to have to do any of those maneuvers to access my retirement accounts before 59.5. Seems like too much of a hassle to me plus you may miss out of some years of compounding if you just left that money alone. My wife and I are going through this now. What is helpful in our case is that I separated from my company at age 55 so can take advantage of the option of non penalized 401k withdrawals as long as I leave the funds in my former employer’s plan. We also saved outside the 401k. I agree with the sentiment to at least contribute to the match level. Don’t leave free money on the table! If your employer has a Roth option, then definitely take advantage of that. After that it comes down to the “personal” part of personal finance. If you’re plan is to retire early and you need money AND you are disciplined to invest outside of the tax advantaged plan, then pairing your 401k/403b etc. with taxable savings can be a great option. However, if you are not disciplined to save outside those plans, then this may not be a good plan. This is an interesting topic. I don’t think there is an easy answer for all. In my situation, I’m offered a 401K with minimal matching through my employer and my spouse is offered a Simple IRA through his employer with minimal matching. We both max ours out. I opted for the ROTH 401K option through my employer as I already have a traditional IRA rollover from one of my previous employers (that employer offered a Simple IRA) and figured it was better to diversify my taxable retirement income because who knows what tax bracket I’ll be in. For about two years the remaining amount we could save has just been going into a online bank savings account but I recently decided to invest a portion of that amount into a taxable investment account instead of a personal ROTH IRA. We are contributing more to the taxable investment account than the allowable annual amount for a personal ROTH IRA and I like the peace of mind that if an emergency were to occur, we can take all of our money out of the taxable account. I like to think of the taxable account as another emergency savings vehicle instead of a retirement account and if all hopefully goes well we won’t need to touch if for emergencies and can enjoy it in retirement. That’s just me though and I know everyone’s situation and comfort level is different. Oh and I forgot to add we both plan on retiring early. I’d like to at 59 1/2 and my spouse will probably retire the same year so 60 for him. What I am advising my sons is contribute up to the full match starting out. Then Contribute to your Roth IRA. Keeping in mind other goals you want to do and saving outside these accounts. My oldest just bought a condo and my youngest just got his first job and needs to build a credit history a savings history let alone learn his job and learn to manage his money.He also want to start up a side gig and is working on that in his spare time. I did tell them the earlier they start the better off in the future they will be as compound interest will be their friend. I probably should have saved more outside tax deferred accounts but I am glad I didn’t as it might not have been invested for the long term. The mental road block of not touching it because of a 10% penalty has forced me to keep it working and my goal of retiring at least at 59 1/2 may not be in sight. But now that I am 55 I can do it whenever I feel like it and the number look right. I am just going to use my brokerage taxable account to bridge until I am 59.5. I have Roth money I could use as well. I’m working on contributing the max because it forces me to put money away in a place where I can’t be tempted to touch it without paying a penalty. After-tax accounts are like a bonus, but psychologically, I treat them the same way-hands off. I am many years from retirement and when I start seeing the light at the end of the tunnel, I may decide to put more in after-tax accounts to balance things out. I think thats a smart way to look at things. Good move. I was fortunate to be able to always max out my 401k and still have savings left over to put into taxable accounts. But that’s mostly because I saved like mad. If I didn’t have the leftovers for taxable vehicles, I wouldn’t be positioned nearly as well for my current semi-retirement. But as stated in the post there’s always the SEPP option, and I likely would be using that. My plan? Invest ~15% in my 401k, then another 50% (FYI – this is possible when you have absolutely no debt ;)) in rental properties (cash buys). This way I’ll have money when I’m 60, but I’ll also have a cash flow and appreciating investments that I can cash in whenever I want. Great topic. I think the decision changes as your E (Changes). For a person in there 20’s -30’s starting their career, I think it is a good decision to put money into a 401k, get the company match and learn to start saving. As one gets into their 40’s and have increased their income, I think a balance has to occur between pre-tax and after tax investing. These are usually the money making years and hopefully things like cash bonus or long term incentive awards are vehicles to use to diversify your portfolio. Buying real estate for rental income to prepare for retirement for instance. As everyone has noted, there is no one right answer. Great conversation. This is my third year of maxing out my 401k and Roth. I feel like it’s a huge accomplishment just to do these two, but I know I need to prioritize my savings and brokerage funds. That said, I’ve been wondering how to access my 401k nut before 59 1/5. Thanks for sharing these options and the reminder to not roll over into an IRA. I have always maxed out of company 401k plans. Since I became an entrepreneur 10 years ago, I have bounced between seasons where I will contribute the maximum to the 401k plan (which with safe harbor allows me to put in $17, 500 a year) and periods when I convince myself that investing the money in my business ideas is better for long-term wealth creation. It’s a constant source of irritation for my wife but I can’t seem to find the right balance. Any ideas? I’m in a similar position as you, but quite a bit younger and not yet ready to retire. To date, 100% of my non-real estate investments are in either a 401k or a 529 plan, though I have now achieved a basic level of financial independence through real estate investments. I’m reinvesting 100% of the real estate profits into the real estate (capital improvements and mortgage pay down) and will continue to do so until I early retire. I’m still maxing out my 401k for 2 reasons: (1) we’re already in the highest tax bracket; and (2) I like the idea of locking it up because lately we’ve been on a spending spree on our house and I feel like a 401k keeps it safe from ourselves! I’m thinking in a year or two I’ll limit my 401k contributions to the value of my employer match, because it is already funded adequately for a reasonable retirement.